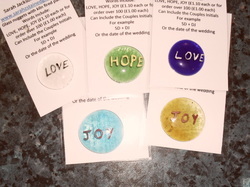 New range of sentiment stones available. Glass nuggets with words painted on using kiln fired paints. Words include: LOVE, HOPE, JOY.